"Every dollar has a story to tell." "The Horse Knows Best," , an excerpt from "Fresh News Straight from Heaven," was published in the Magazine of History and Fiction. vol 1#1, 2018. “At Riverside Cemetery," (short story), Rumblefish Quarterly Winter, 2018: 24-38. "Columbus Day,” (short story) Waypoints Summer, 2017 (3): http://waypointsmag.com/columbus-day-2/. "Scream It Forward,” (short story) Kestrel,Spring, 2016: 76-85. “Drop Zone,” Midwestern Gothic (short story) 21 Spring, 2016: 100-111. “The Meeting,” (an epic poem), The Quarterday Review 1(2): Fall, 2015. “Why Not You?,” (short story) Semaphore, October 28, 2015. ﻿“On Kindness for Germs,” Defenestration. October, 2014 (humor). 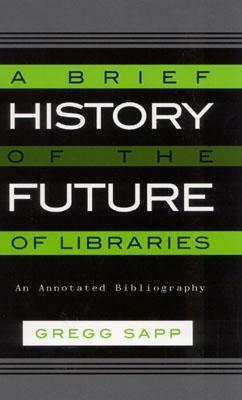 A Brief History of the Future of Libraries/ Gregg Sapp - Scarecrow Press, 2002. A retrospective on twenty five years worth of predictions about what libraries would be like in the year 2000. 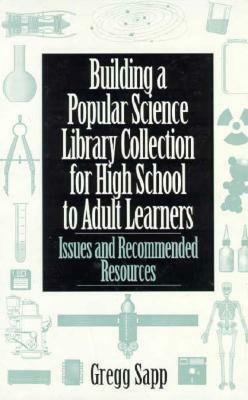 Building a Popular Science Library Collection/ Gregg Sapp - Greenwood Press, 1995. Techniques and resources for developing library collections to support science literacy. Access Services: Innovations for 21st Century Libraries/ Gregg Sapp, ed. - Haworth Press, 1999.
Notable Historical Figures in Fiction/ Gregg Sapp and Donald Hartman, 1994. Access Services in Libraries/ Gregg Sapp, ed. - Haworth Press, 1992. Finally, for twenty years, I wrote Library Journal's annual review article on "The Best Sci Tech Books." "Johnny told many a good yarn about his life and time. He would like Fresh News Straight from Heaven." Howard Means, author, "Johnny Appleseed." By noon, when the race was scheduled, Reverend Copus surmised that the entire population of the Licking River valley and half of the towns along the upper Muskingum had all turned out. Early arrivals sat in tiered rows along the earthwork mounds, while stragglers spread out in the grass flats wherever they could unfurl a blanket. Johnny Appleseed paced along the sidelines of the track, attempting to preserve clear pathways for the horses, even though the leading edge of the crowd kept elbowing closer and closer to the racing lanes. Still, with bottles already being passed and spirits high, everybody’s outlook was pleasant and their energies, while restless, were mostly positive. Three riders led their horses into the starting gates. “Let th’ races begin!” Joseph Black screamed at the top of his lungs, inciting cheers, foot stomping, and chest pounding. This was Reverend Copus’s moment; he’d never spoken to so many people at once in his life. “Brothers and sisters in Christ,” he began, then, reconsidering, toned it down a notch, “Ladies and gentlemen... and horse racing fans everywhere: welcome to this glorious day that the Lord has given us. So, let’s all say the Lord’s prayer.” Reverend Copus started the prayer, and was gratified when folks joined in, so that by the time that they got to “amen,” the reverberations of the assembled voices felt like a scene straight out of the gospels. All that was missing were the loaves and fish. The shot unleashed a riot of cheering, a mob wave of body heat, and the thunder of marauding horseflesh. The horses ran like a three-headed Biblical beast in one body, racing to pull itself apart. Their strikes pummeled the dirt track, trailed by a cloud of dust and gravel. The animals streaked by so fast that the only thing anybody could see was a muscular blur, as if the air itself was warped in the backdrafts. It knocked some people over. Others panted for breath. Around ten seconds into the race, the horses stormed by the post marking the halfway point, but nobody could separate them clearly enough with naked eyes to tell which, if any, was in the lead. Mojo, Horny, and Lulu struck their leading legs in seemingly synchronized unison, and except for slight variations in when each tipped its muzzle, there was no discernible space between them. Even the jockeys rode in identical compressed postures, pinned back by the force of the velocity. As they sprinted toward the finale, they were still gaining speed, like three boulders rambling down a steep hill toward a cliff. Folks with the prime viewing positions along the side of the track backed off, concerned that they might get trampled. All except Johnny Appleseed, that is, who centered himself, dug in his feet, intertwined his fingers, and squinted so that all he could see was the plane which marked the precise finish line. In a flash, the horses galloped past it and kept going. People clustered behind the end of the track scattered to get out of the way, while the horses kept on chugging, as if they intended to race all the way to the horizon. It was over, but nobody knew what had happened. Everybody looked at somebody else for an answer. “Noooooooo!” erupted a cacophony of voices. “Yesssssssss!” exploded a chorus of others. It took a few minutes to turn around the horses, during which time people started recovering their senses of either indignation or triumph, whichever was the case. Sensing unrest, Reverend Copus stood next to Johnny, offering his visible support... even though he, too, doubted if it was possible that any mortal eye could’ve truly seen what happened at the race’s conclusion. Mojo snorted and shook its head from side to side. Horny blew air from both nostrils, shaking his head from side to side. “There you go,” Johnny said. Thus, there being no person among the mob brazen enough to question a horse’s own word of honor, that settled the matter.